The program is also offered without concentration. A passion for living. Loving observe, analyze and compare data. Love handle and use precision instruments. Loving research. Be patient and have a sense of observation. Possess great intellectual curiosity turned to understanding life forms. Having communication skills and extension. The biologist profession is multifaceted. Simplifying somewhat, we note two main career guidance among biologists interested in certain populations and communities of living things, their location and their use as resources, while others are fascinated by the structure and the functioning of organs, tissues, cells and molecules. There is, however, no firewall between these interests: environmentalists are using more and more experimental approaches and molecular data as physiologists and molecular and cellular biologists are interested more and more problems adaptation and evolution. A teaching career at the college is possible: the Graduate Diploma in college as well as the biological control offer additional preparation prized by many colleges. In addition, under certain conditions, you may also qualify for secondary education by obtaining 61 credits mainly related to internships and teaching in the Bachelor of Secondary Education – Science and Technology. This bachelor leads to studies in advanced biology cycles, particularly in the following disciplines: Continental Ecology (terrestrial and aquatic environments) and animal behavior, plant ecophysiology, plant ecology, animal ecology, entomology, biological oceanography and marine ecology, cell biology and molecular as well as general and comparative physiology. Applicants presenting a combination of education and relevant experience deemed equivalent to that required of the holder applicant may be eligible as a result of the analysis of the file. The program is limited enrollment, the number of places is very limited. Classification and nomenclature of amino acids, carbohydrates, lipids and nucleic acids. Overview of the energy metabolism of plants and animals. Basics of Bioenergetics and enzymology. Study of photosynthesis and photorespiration. Description of the main pathways of energy metabolism. Integration and control of these metabolic pathways. Bacterial structure. Bacterial growth. Viruses, molds, yeasts. Notions of immunology and pathology. Antimicrobial agents. Bacterial genetic elements. Concepts applied to the laboratory. Theories, assumptions and models in ecology. Ecosystem Study: feedback and homeostasis, photosynthesis and decomposition energy flow and biogeochemical cycles. Abiotic factors: law of tolerance and adaptability of the body. Population biology: general characteristics, growth and regulation. Communities Study: interspecific interactions and structural aspects, evolution and co-evolution, succession and diversity. Wild trips and laboratory work. Evolutionary Morphology of unicellular eukaryotic organisms, algae, bryophytes and vascular plants in response to the constraints inherent in aquatic and terrestrial environments. Classification of large groups based on the evolution of photosynthesis functions, transport, mineral nutrition and reproduction and on the comparison of life cycles. Notions on the ecology of algae, bryophytes, lichens and vascular plants. Practical work permit to deepen the concepts of evolutionary and functional morphology. Scientific method and importance of biology in statistics. Sampling. Descriptive statistics. Data presentation. Distributions statistics. Test of statistical hypotheses. Comparison of variances, averages and frequencies. Correlation. Regression. Analysis of variance. Nonparametric tests. This course brings the student to develop a conceptual framework anchored life analysis in the modern theory of biological evolution. History of the development process (concepts of phylogeny, tree lines). Evolutionary forces within populations (drift, selection, mutation, gene flow). Adaptations analysis (natural selection, sexual selection). Evolution of Biological Diversity (speciation, extinction, coevolution). Application of evolutionary biology principles to various phenomena (behavior, human diseases, etc.). The course objective is to give a phylogenetic perspective of evolutionary history and diversity of metazoans (invertebrates and vertebrates in natural classification). Students will be expected to analyze the main adaptations metazoan respect to features of the environment and the constraints to animal life, evolutionary trends among different clades and models of development and reproduction. The practical work will especially deepen the concepts of evolutionary and functional morphology, including the dissection of representatives of clades in the study. The various body plans anatomical structures and functions will be studied sponges to mammals through various taxa such as mollusks, insects and amphibians. This course deals with the plasticity, acclimatization and physiological adaptations, nervous system, sensory systems, the hormone system, the hydromineral regulation and the muscular system. In laboratory tutorials the student deepens certain theoretical concepts covered in class by analyzing, for example, the links between physiological traits (metabolism, respiration rates, brain size) and individual characteristics (mass, age, population, phylogenetic group). This laboratory allows the student to become familiar with the techniques and basic equipment used in molecular biology. Following a genomic DNA extraction of yeast, profilin gene was amplified by PCR and cloned into a plasmid vector. The PCR fragment is used as a probe for Southern hybridization, and an expression vector is recruited to produce profilin in bacteria. The synthesis and purification of profilin are checked by gel electrophoresis technique (SDS-PAGE), and the interaction of profilin with actin was studied by using the two-hybrid technique. Finally, the student becomes familiar with bioinformatics tools including biological databases available free: search for biological information online, research homologous sequences, reconstruction of phylogenetic trees and writing a scientific report. Topics include: the structure of DNA and RNA; DNA replication, replisome concept; eukaryotic chromosomes structure and implications for gene regulation; mechanism of transcription and regulation of gene expression in bacteria and eukaryotes; maturation of the primary transcripts in eukaryotes; the genetic code and mechanism of the translation of messenger RNA. At the end of the course the student should have acquired a good knowledge of the subjects. It should specifically be able to explain in detail the fundamental molecular mechanisms of the cell and have a good understanding of their implications in evolution. Including one reflects on the role of these molecular mechanisms and their contributions to the evolution of biodiversity. This course aims to show how, during her undergraduate studies, is preparing for graduate studies and professional practice in government circles, in schools and in the private sector. It presents the fields of research and application of biology fields. Presentations by professors, researchers, employers, biologists practicing their profession outside the universities and in different fields of biology. The plant cell. Different tissues and organs. Development Study: germination, growth and differentiation. Photosynthesis and mineral nutrition. The transport of water and sugar in the plant. Breeding patterns of angiosperms. Laboratories: observations of organizations and structures studied. Photosynthesis and transpiration. Mendel’s laws, and genetic linkage mapping. Dominance and complementation. Dosage compensation. Fine structure of the gene. A gene – an enzyme. Mutation. Deletion. Lysogeny and regulation of gene expression. Molecular cloning. Polymorphic markers and cloning. Sequencing the human genome implications. Genetic analysis of somatic cells. Transgenic animals and targeted inactivation. Changes due to the expansion of triplets. Prion diseases. Genetics of DNA repair. Genetics pigmentation. Cancer, genetic disease. Study of respiration, circulation and nutrition in animals. 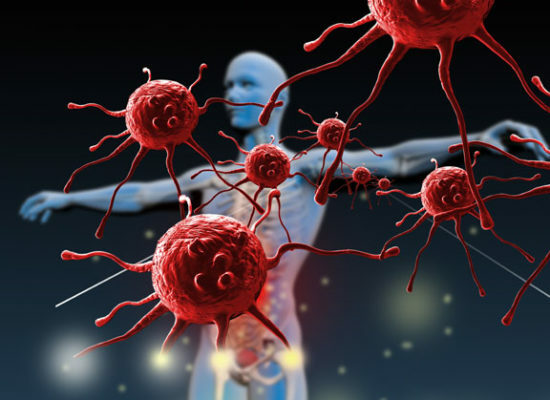 Introduction to the techniques of physiology as well as the presentation and the results of scientific analysis in experiments on cellular function, tissue and systemic. The objective of this course is to understand the functioning of the eukaryotic cell and the changing diversity of forms and cellular functions. This course covers the following aspects: origin, structure and physiology; organization; signaling, regulation and intercellular communication; cell division and sexual reproduction; Basics in biology and evolution of development; approach to systems biology applied to biology of the cell. This course aims to discover the value of using synergistically knowledge on molecular biology and population genetics, with a view to answering nature of issues in applied ecology and conservation biology. Introduction to conservation genetics; Genetic diversity: concepts and characterization methods; conservation genetics of populations to low numbers; population genetic structure; definitions of conservation units; genetic management of disturbed populations; reintroduction, restocking and hybridization. Analysis of professional practices and research on the biological sciences, especially in the biomedical field, from practical cases and in relation to bioethics theories linking philosophies extended to human health, technology and the environment. The analyzes cover, inter alia: stem cell and regenerative medicine, water and public health, Nanohealth, DNA and personalized medicine tests, computerized data banks, bacterial resistance. Analysis of professional practices and research on the biological sciences, especially on the environment, from practical cases and in relation to the philosophies of the environment, sustainable development and industrialization. The analyzes relate to, among other things: the fish transgénisme plants, energy (nuclear to shale gas), nanotechnology and risk assessment, forest management, protection and use of water , waste management and urbanization, climate change. Structure and age of the earth. Internal dynamics: plate tectonics, structure and morphology of continents and ocean floors. Isostasy. Principles of stratigraphy. Datings. Materials of the terrestrial crust. Weathering of rocks under different climatic regimes and biomes. Erosion, transport and sedimentation. Soil formation. The water regime. Linear erosion: the basic level and the longitudinal profile of rivers. The dynamics of slopes. The theory of erosion cycles modernized by satellite geodesy and new dating techniques. Landslides. The Pleistocene glaciations and landscaped heritage. The sedimentary environments and memory of terrestrial systems. Haiti major geological structures. Humanity and geomorphological processes, disasters. This course is a broad academic audience, as one who wishes to complete his training in science or engineering as one that cares about its physical environment. None required beforehand. Earth – a history of 4.6 billion years of Earth origin, internal structure, dynamics of the terrestrial globe, continental drift and plate tectonics, volcanism, mountain ranges, first continental cores, birth of the Atlantic, major glaciations. Life through geologic time: the appearance of life on Earth, highlights the evolution, large extinctions. The geological landscape: modeling continents by water and ice, groundwater, oceans. Geological riches: minerals, rocks and fossils, gems and precious stones, mineral deposits and oil fields, exploration and mineral economics. Haiti’s geology and history. The program requires the successful completion of an internship or an initiation activity research methodology to select from the list provided below. This activity will be contributory to Rule 1 of the block Other requirements, with the exception of BIO-2590 course, which can satisfy this requirement, but not to get the credits attached to it (the internship is carried out the program on a voluntary basis). Participation in the realization of an applied research project or professional intervention in the workplace under the supervision of professionals licensed by the Department of Biology. The student must approve the choice of the host environment by program management. He must also write a detailed course report on the work, its scientific and professional context and the benefits of its experience in terms of learning and achievements. ntroduction to practical marine ecology, including consideration of the benthic organisms floors: intertidal and subtidal; consideration of the factors controlling the distribution of coastal pelagic and benthic organisms; short-term projects in small groups in early May at the Darling Marine Center, Maine (USA), with preparatory reading during the session. Course given every two years. Participation in the realization of a research project in a country in Latin America, Africa or Asia. A lesson plan and learning objectives are developed for each course by the teacher in charge of the course in collaboration with the student. The first part of the course includes a preparation centered on scientific issues and the social context of the course. The course, lasting a minimum of eight weeks, takes place under the direct supervision of a university researcher in the host country, and the research topic is related to a scientific problem related to that country. In return, the student must make a detailed report of its activities and achievements during the course. The student’s evaluation is conducted jointly by the training supervisor and the professor in charge of the Department of Biology. The conditions required by the International Bureau of the GOC University for international and intercultural courses apply. This course prepares students to apply knowledge from a practical point of view. The course objective is to serve as an introduction to the practice of management and wildlife conservation on the ground. At the end of this course, the student should be familiar with the relevant techniques (eg. Telemetry, behavioral observations, estimation of forest cover, principles of good animal care, visual and audible bird identification, mark and recapture ) be able to find information to apply techniques in the field and use basic knowledge in biology and conservation to solve practical problems of sampling in the field. This course is a continuation of “Introduction to Research I”. At the end of the session, the student submits to his project manager a written report on its research activities and made an oral presentation before an audience of students and professors. Under the supervision of a professor of the Department of Biology, a professor from another department or a research team member working outside the University, the student carries out a literature search on topic related to one of biology disciplines with critical analysis and synthesis of the main data collected. At the end of the session, the student submits a written report and an oral presentation before an audience of students and faculty. The student can take three optional practical training courses: BIO-2590, BIO-BIO-3590 and 3591. The credits of these courses are in addition to the credit requirements of the program. To register, contact the program director. Elements of polypeptides; general information on the structure of proteins; purification and characterization of proteins; building blocks of proteins; main types of structural domains; DNA structure; DNA recognition in prokaryotes by the helix-turn-helix motifs; DNA recognition by eukaryotic transcription factors; specific transcription factors belonging to several families; example of enzymatic catalysis; flexibility and folding of the polypeptides; protein engineering; membrane proteins; fibrous proteins; determination of the structure of proteins by dristallographie and X-ray diffraction; determining protein structure by nuclear magnetic resonance (NMR); prediction of the protein structure. This course focuses on methods of bioinformatics analysis of genomic data, proteomic and transcriptomic, the most classic to the latest generations. The algorithms behind these methods of analysis are presented for two hours a week, while practical sessions in the computer lab, also with two hours a week, are an opportunity for the student to confront solving concrete problems. Particular attention is paid in the laboratories so that the student can understand the challenges of bioinformatics analyzes. Introduction to systems biology. Trends and analysis of large sets of genes. Biological network analysis. Dynamic modeling using differential equation and systemic properties. Introduction to MATLAB. Signaling and cell cycle models. A laptop, used regularly in class, is required for this course. Initiation of the student to the science of experimental animals. Considerations of moral and ethical. Regulations and laws. Animal models. Factors affecting animal quality and the biological response of the experimental animal. The animal facilities and maintenance methods of experimental animals. Risk control in animal facilities. Biology of common and exotic species of experimental animals. Livestock. Anesthesia, surgery and euthanasia. Case Study by speakers. Distribution of marine waters. Formation of the oceans. Ocean. Origin water. Seawater, T-S diagram. Platforms and gear: visiting a research vessel. Intensity and spectrum of the incident light. Heat preservation and heat balance. Estuarine and oceanic circulations. Geostrophic currents, tides. Oceans and climate. Satellite oceanography. Modeling. Examples of movement: the Atlantic and Arctic oceans. Nature of the interactions between oceanic biogeochemical cycles and climate, changes in these interactions over time (past and future). Exchanges and feedbacks between the ocean and atmosphere. Global cycles of main nutrients (nitrogen, silicate, phosphate, iron), carbon and sulfur. Primary and sequestration of atmospheric CO2 production (biological pump). Plankton production of dimethyl sulphide (DMS) and effect “umbrella”. Other biological gas affecting climate. Courses on the biology of fungi: Modern methods of identification, cell differentiation concepts, mechanisms of growth and reproductive processes, physiology and genetics of fungi, ecological, symbiotic and pathogenic fungi plant and animal species, use of fungicides, mycotoxin production and hallucinogens. Bird Biology study in an evolutionary context: origin and evolution, taxonomy, theft and its adaptations, diet and energy balance, migration, reproduction and reproductive strategies. Several basic concepts of evolutionary biology and behavioral ecology are discussed and illustrated with examples avian. The course includes a number of practical session focused on the taxonomy and morphology of birds. Description of the distinctive characteristics of mammals. Origin and Evolution of the Mammalia class. Classification current mammals. Functional and ecological aspects of some typical mammalian adaptations concerning particular locomotion, chewing, reproduction, lactation and social organization. Introduction to the literature of mammalogy. The origin and the place of domestic mammals and our species from other mammals. The course includes six laboratory sessions. Systematics of mammals based on the observation, comparison and identification of skulls. Functional analysis of the mechanics of chewing carnivores and herbivores. Mechanical locomotion mammals analysis of walkers, runners and swimmers. Observations and comparisons oriented identification and functional understanding of bones of various mammals. Scientific basis for the study of insects. Structure and function. Development and reproduction. Behavioral adaptations and social life. Life cycles and seasonality. Responses to the temperature and other abiotic factors. Herbivore trophic relationships and other insects. Relationships with humans. Alternative chemical and non-chemical control of pests. The lab will focus on the systematic identification and collection of insects for scientific purposes. Study of the most important families of vascular plants of the flora of Haiti. Introduction to bryophytes. Use of floras. This field course aims to familiarize students with the conservation of nature and biodiversity in countries where the ecological, economic, demographic and socio-political are different from ours. The first part deals with the classroom conservation biology, threats to biodiversity and global biodiversity distribution. This component is completed by a three to four week stay in a sensitive area of global biodiversity. Registration for this course is done according to a particular mechanism, which is presented by the head of the newly enrolled students during the Biology program. This field course aims to familiarize students with exotic biodiversity and conservation problems of a country where the ecological, economic, demographic and socio-political are different from ours. Through meetings with local stakeholders from different sectors (government, NGOs, academia, industry, community, etc. ), participation in conservation projects, research or restoration or any other relevant activity the student is asked to question the conservation measures put in place to ensure the conservation of biodiversity and living resources while minimizing conflicts with local populations often dependent on these resources. Basic sample, marking and monitoring of animal populations. Population growth models, matrix models and exploitation, predator-prey interaction and analysis mark and recapture. Exercises on sampling of populations and simulations related to population dynamics. Wildlife management principles and its habitats. Analysis of environmental factors that influence wildlife populations, with particular attention to the quality of the habitat as well as predation and nutrition of wild animals. Conservation elements: land protection, genetic variability and population control methods. Laboratory exercises and field. The ecology, biogeography and biodiversity of marine ecosystems. The adaptations of organisms to these habitats and ecological processes controlling the population dynamics and species distribution. The intertidal floor, the pelagic zone, great depths, reefs, upwelling, coastal areas in freshwater influence, polar seas and oceans. The extent of the impacts of human activity on marine ecosystems. The ecology of lakes, rivers and streams. The interactions between hydrodynamic processes, biogeochemical cycles and the biological communities. The responses of aquatic ecosystems to human disturbance. The course includes an internship of two days (one weekend) in the field. This course covers the patterns and ecological processes influencing the functioning, stability and degradation of terrestrial ecosystems (forest, bog, tundra, riparian and coastal environments, etc.). We review the main natural and anthropogenic disturbance regimes affecting these ecosystems (fire, logging, and insect defoliators outbreaks, blowdown, climate, etc.). Using concrete examples (defoliators, caribou, birds, etc. ), it also looks closely at the plant-herbivore relationships that impact the level of stability of large ecosystems. This course is based on the theoretical bases of plant ecology to better understand the problems related to the renewal of natural resources (forest, wildlife, water, etc.). Under the direction of a professor of the Department of Biology, a professor from another department or a research team member working outside the University, students are introduced to one of disciplines of biology and checks his research skills. The course “Introduction to Research I” must be followed by “Introduction to Research II”. Lectures, discussions and readings led the study of life-history strategies of animals, mostly vertebrates. The following topics are covered: evolution and behavioral ecology, natural and sexual selection, social behavior, systems and reproductive strategies, parental investment, social organization, behavioral parasitism, territoriality, game theory, communication, senescence, cooperation and kin selection, foraging behavior and habitat use. Living in symbiosis is the rule in plants and terrestrial ecosystems. Integrative way one presents different plant symbioses (structures, functions, ecology). It outlines how each plays a decisive role in the evolution of species and, above all, how they intervene in the functioning of all terrestrial natural and managed ecosystems by humans. It has applications in forestry, horticulture, agriculture, agro-forestry and environment. Biophysical Aspects of the global carbon cycle; ecosystem carbon budget; ecological disruption; land use change; remote sensing of the carbon cycle; interactions between ecosystems and the atmosphere; international negotiations and treaties; socio-economic aspects of carbon; economic approaches and tools; monitoring systems, reporting and verification; roles of conservation, forest products and forest management in the context of climate change. Climatology tropical regions, characteristics and classification of tropical ecosystems, productivity analysis of ecosystems, biogeochemical cycles, biodiversity, tropical soils, economic aspects of biodiversity conservation, principles and use of remote sensing to characterize the evolution of tropical ecosystems , principles of ecology of systems and system analysis, use of modeling as an analytical tool of tropical ecosystems. This course helps to learn the impact studies and develop methodological tools for such studies. It includes a review of federal and provincial impact assessment and their regulatory process; the review of available methods, types case studies of recent projects; the identification and management of conflicts of environmental impacts. Notions of environmental auditing. The sea-based forces waves in deep water, the transformation of the waves as they approach the coast, sea level fluctuations, chemical and biological action of the sea on the coast. Beaches: the equilibrium profile of the beaches, avant-side bars morphodynamics classification of beaches, sediment transport in the coastal zone. Coastal dunes. The types of forms of coastal accumulation and evolution. The cliffs and coastal platforms. Estuaries and deltas. Lagoons and tidal marshes. The glaciels coastline and periglacial processes. The evolution of coastlines and coastal development. This course provides an overview of the subject by integrating geological and paleontological data (specimens are presented in the lab) and the modern concepts of phylogenetic systematics and evolutionary biology. The applied aspects of biostratigraphy, palaeoecology and sedimentary geology are related to the major stages of evolution. The course focuses mainly on invertebrates (phylogeny, taphonomy, diagenesis), but also deals with fossilization of microbial communities (stromatolites), history of plankton (siliceous, calcareous) and some micro-organisms (foraminifera). Some notes on the history of vertebrates and plants complete the course. The course attaches importance to practical work (identification, relationship between the skeleton and the body, biominerals, microstructures, conservation). Introduction to Geographic Information Systems (GIS). Knowledge and skills needed to understand the spatial reference, implementation and analysis of relational databases, the rules of thematic cartography and types of geometric structures (vector and raster). Primer on data acquisition (eg. GPS), preparation and editing of geospatial data. Experimentation of metric and topological spatial analysis operations. This course has important practical work with ArcGIS software and MS Access. The student must have a good knowledge of computing. Tissues and organs of immunity. Ontogeny of T and B cell recognition molecules: immunoglobulins; T receiver, the major histocompatibility complex (structure, function, genetics). The cellular communication molecules: cytokines, complement. The immune system in action: cellular and molecular interactions in the activation of T and B lymphocytes inflammation. Fundamentals of virology. Bacteriophages and viruses of animals will be examined: the main characteristics, molecular events propagating cycle and oncogene and pathogenicity. Particular attention will be paid to the virus used experimental model in the study of the regulation of the expression of prokaryotic and eukaryotic genes. Some of the plant virus. The bacterial genes: mutation, recombination, restriction and modification of DNA. Gene transfer: plasmids, transposons, transformation, transduction, conjugation, genetic mapping, genome analysis. Using modern molecular biology in various application fields of microbiology. Courses combining theoretical and practical studies (laboratory) on cell biology and genetics of unicellular eukaryotes using the amoeba as a model. Themes: relationship amoeba-bacteria, cellular dynamics (endocytic pathway, cellular, cytokinesis migration), multicellular development, genome structure, gene manipulation. Intensive three weeks in May. Presentation of a herbarium of 100 species of native or naturalized plants of Haiti that the student must have itself collected, labeled and identified. Detailed information to the manager. This course prepares students to be independent to conduct floristic inventories Bog: for vascular plants, the student becomes familiar with the Cyperaceae and Ericaceae. For bryophytes special attention is given to Sphagnum mosses and liverworts preferential brown bogs. The student becomes familiar with the sampling methods in Bog (Great Blue plée) by monitoring a restoration project (vegetation monitoring, biogeochemistry of the site and site hydrology) or a Team research project bogs. The student is also introduced to productivity estimation methods and decomposition of the ecosystem and delineation of wetlands. In keeping with the recognition of ecological goods and services that provide bogs, which make up 90% of wetlands in Canada, this course covers: the wetland classification, terminology associated ecosystems peatlands, their development since the last glaciation, hydrology, carbon cycle, the importance of peatlands in regulating the climate, agriculture and forestry on peatlands, effects of human activities associated with the development, conservation and ecological restoration and an overview on the evaluation of the economic value of peatlands. Three trips are planned: peat bog, fen (fen), bog (bog) and landscaped freshwater marshes. Reproduction course with emphasis on pets during which will be discussed the following topics: endocrinology, physiology of reproductive organs, folliculogenesis, spermatogenesis, fertilization, implantation, placentation, induction of parturition and lactation. In addition, reproduction intervention methods will be explained: insemination, in vitro fertilization, embryo transfer and new biotechnologies. Human Genetics course that enables students to acquire knowledge on the transmission of genetic characteristics and utility of human genetic polymorphism in the study of diseases, the evolution of man and populations, and forensics. At the end of the course, students will have built the fundamental basis of Mendelian genetics, the Human Genome Project, and modern genetic medicine. Guest speakers will educate students for discoveries in the field of medical and community genetics. Geology, topography, surface deposits and Hydrography. Original material, pedogenetic processes and soil classification (Canadian system and the American system). Organisms in the soil and humus forms. Texture, structure, porosity and bulk density. And ion exchange reactions (pH) of the soil. Water, air and soil temperature. Round elements and Forest Nutrition. Soil science and forest management. During complemented by field trips. Following a brief history of soil science, this course covers among others: the concept, soil as a three phase system, the physical properties (texture, structure, etc. ), physicochemical (pH, capacity exchange, etc.) and biological (micro-organisms, bio-geochemical cycles, etc. ), water, soil, organic matter of the soil fertility, soil formation, classification and soil conservation , etc. Introduction to environmental law in the context of current and future environmental challenges. Overview of the main legal instruments in Haiti to fight against environmental pollution and climate change, preserving biodiversity and implement sustainable development. Study of administrative appeals, civil and criminal. Study of authorization schemes, procedures of public review of the impacts and administrative appeals, civil and criminal to the public and to public administration. This introductory course in entrepreneurship is for any student in the first cycle. It aims to develop a sense of initiative and entrepreneurship in students, to help them discover and exploit its full entrepreneurial potential. The knowledge imparted to students relate to both the entrepreneur and the creative process by which he leads his project to fruition, be it a social project, commercial, cooperative, artistic or otherwise. Concrete examples are given to illustrate the passion of entrepreneurs, their need to create and innovate and action orientation. Available in class or distance, the course plays a key role in the development of entrepreneurial skills. The course includes the realization of an entrepreneurial sketch to sensitize the students to the realities of an entrepreneurial project and develop a more just vision of the challenges to be considered. The sketch is not a comprehensive business plan, the progress of the course remains primarily the discovery and development of the entrepreneurial potential of the student and not the creation of a company. Articulate basic knowledge of neuroscience and cognitive functioning of language: neuroanatomy (lobes and brain structures and neural networks); cognitive functions; sensorimotor functions (somatosensory and motor systems, brainstem, basal ganglia); visual, vestibular and auditory systems; brain imaging techniques and new diagnostic approaches (computed tomography, magnetic resonance imaging, electroencephalography, brain magnetic stimulation, etc.). The student admitted to the entrepreneurial profile should follow the ENT-1000 courses and one course from MNG-MNG-2102 and 2108. Pass the course ANL-2020 Intermediate English II. The student who demonstrates that he has acquired this level must choose an English graduate courses or in another modern language. The student admitted to the entrepreneurial profile has to follow the courses and ENT-3000 ENT-3010. The bacterial genes: mutation, recombination, restriction and modification of DNA. This introductory course in entrepreneurship is for any student in the first cycle. It aims to develop a sense of initiative and entrepreneurship in students, to help them discover and exploit its full entrepreneurial potential. The knowledge imparted to students relate to both the entrepreneur and the creative process by which he leads his project to fruition, be it a social project, commercial, cooperative, artistic or otherwise. Available in class or distance, the course plays a key role in the development of entrepreneurial skills. The course includes the realization of an entrepreneurial sketch to sensitize the students to the realities of an entrepreneurial project and develop a more just vision of the challenges to be considered. The sketch is not a comprehensive business plan, the progress of the course remains primarily the discovery and development of the entrepreneurial potential of the student and not the creation of a company. The student must be admitted to the entrepreneurial profile, Certificate in Entrepreneurship and SME management or firmware developing entrepreneurial skills and detain or above average 2.67 calculated on 24 credits or more in a program to register in this activity. The entrepreneurial portfolio allows students to develop a project related to their field of study, to establish a network of contacts and thus improve their entrepreneurial skills. Coaching facilitates the process by allowing the student to validate and deepen their project idea, to focus its efforts and develop its action plan.